Bogaru & Associates (former Bogaru, Braun Noviello & Associates/Hammond Bogaru & Associates) is a structure with more than 15 years experience in international and domestic sectors of law. Our lawyers specialized in different legal disciplines provide legal services in Romania for representatives foreign and Romanian multi-national companies. The transactions handled by the Firm range from assisting small and medium size enterprises to advising major multinational companies. 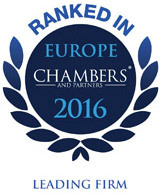 The Firm’s lawyers have many years of combined legal experience in Romania, France, Switzerland and Germany. Bogaru & Associates is well-known on the Romanian market in Corporate, M&A, Commercial or Renewable Energy. Our commitment is to client service, exceptional quality and traditional values while at the same time fostering an entrepreneurial spirit amongst our lawyers. Clients come to us because they believe that we will find the answers which they need. The delivery of these services in a fashion that meets our standard of excellence and the needs of our clients is the core goal of all the lawyers in the firm, from the newest of associates to the most senior of our partners.